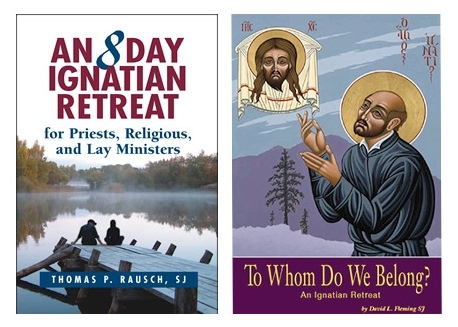 Loyola’s spiritual exercises take an adherent through a month of contemplation, meditation, “prayer exercises, thought experiments, and examinations of consciousness.”iii As with much Catholic teaching, the spiritual exercises of St. Ignatius focus on an experience-based religion and salvation through works. The tenth Addition is penance. This is divided into interior and exterior. The interior is to grieve for one’s sins, with a firm purpose of not committing them nor any others. The exterior, or fruit of the first, is chastisement for the sins committed, and is chiefly taken in three ways. First Way. The first is as to eating. That is to say, when we leave off the superfluous, it is not penance, but temperance. It is penance when we leave off from the suitable; and the more and more, the greater and better — provided that the person does not injure himself, and that no notable illness follows. Third Way. The third, to chastise the flesh, that is, giving it sensible pain, which is given by wearing haircloth or cords or iron chains next to the flesh, by scourging or wounding oneself, and by other kinds of austerity. Note. What appears most suitable and most secure with regard to penance is that the pain should be sensible in the flesh and not enter within the bones, so that it give pain and not illness. For this it appears to be more suitable to scourge oneself with thin cords, which give pain exteriorly, rather than in another way which would cause notable illness within. Loyola is plain wrong. Jesus was the satisfaction for our sins (Acts 4:12). No further penalty is needed if we come to Him, repent, and accept His forgiveness (Ephesians 2:8-9). Catholicism denies the peace that Christ offers us, and instead says that we must continually pay for our sins through penance. In all of the situations provided by Loyola and his spiritual exercises, moral judgment becomes suspended. Truth becomes subject to the experience or supervisor rather than the absolute standard of God’s Word. i. “The Spiritual Exercises of Ignatius Loyola,” Fairfield University website. ii. Joseph Tetlow, National Jesuit News (December 1994), as quoted in “The Spiritual Exercises of Ignatius Loyola,” Fairfield University website. iii. “Spiritual Exercises,” Society of Jesus, Oregon Province website. iv. H. Boehmer, Professor at the University of Bonn, Les Jesuites (Paris: Armand Colin,1910): 25, 34-35, as quoted in Emond Paris, The Secret History of the Jesuits (Chino, CA: Chick Publications, 1975). v. “Spiritual Exercises of St. Ignatius 45-54,” Society of Jesus, Oregon Province website. vi. Elder Mullan S. J. (Trans.) The Spiritual Exercises of St. Ignatius of Loyola (New York: P. Kennedy & Sons). viii. Edmond Paris, The Secret History of the Jesuits (Chino, CA: Chick Publications, 1975): 26.